02:29 pm: playing around with osmarender, i made a sort of tube map. some missing stations, obviously, and visual artifacts. and in some places tunneled bits are approximated with a straight line. should it try to show major roads (faintly)? 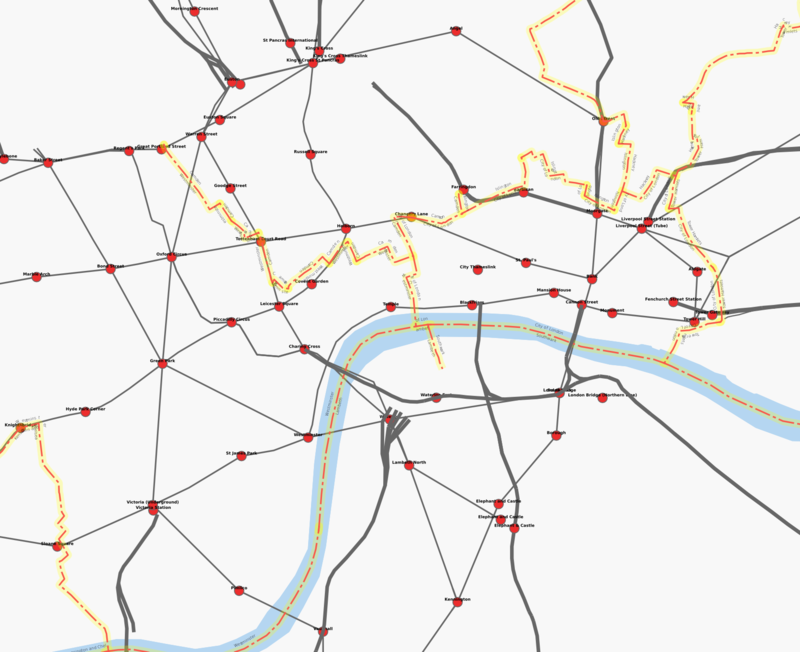 how can i indicate the different railway and tube lines (there aren't enough colours). Ohh, that's interesting; thanks for posting it.